The Bureau of Economic Analysis (BEA), under the aegis of the Department of Commerce, reports that real spending on travel and tourism in the U.S. slowed in the second quarter of 2013. While real spending (defined as spending adjusted for inflation) continued to grow at an annual rate of 2.5 percent, it was slower than the 7.3 percent growth in the year’s first quarter. By comparison, growth in real gross domestic product (GDP) increased by 2.5 percent (second estimate) in the second quarter after increasing 1.1 percent in the first quarter. The report measures the performance of both domestic American tourists and foreign tourists. Total tourism-related spending in the U.S. includes the goods and services purchased directly by tourists and also goods and services produced by the supply chain that supports tourism, such as a company that supplies linens to hotels and restaurants. In the second quarter, total tourism spending was $1.5 trillion, 59 percent spent directly and 41 percent indirectly. The deceleration of tourism spending was attributed to “passenger air transportation,” and “all other transportation-related commodities.” Passenger air transportation slowed to a growth of 15.4 percent in the second quarter after its robust 26.9 percent growth in the first quarter. All other transportation-related commodities slumped in the second quarter, decreasing 1 percent after increasing 5.8 percent, mostly due to a slump in car rentals. Prices for travel and tourism goods decreased in the second quarter by 2.9 percent following a 0.4 percent increase in the first quarter. The second quarter price slump primarily reflected decreases in prices for both air transport and gasoline. Real spending on transportation goods and services slowed by 5.1 percent in the second quarter compared to an increase of 13.4 percent in the first quarter. Real spending on accommodations decreased 0.2 percent in the second quarter after increasing 4.6 percent in the first quarter. Prices for passenger air transportation decreased 8.4 percent in the second quarter of 2013 after decreasing 0.6 percent in the first quarter. Fuel costs decreased from their previous highs. Prices for “all other transportation-related commodities” decreased 11.1 percent in the second quarter after decreasing 3.5 percent in the first quarter. Total tourism-related employment was eight million jobs in the second quarter of 2013 and consisted of 5.7 million (71 percent) and 2.3 million (29 percent) indirect tourism-related jobs. Employment in the travel and tourism industries increased 3.4 percent in the second quarter of 2013 after increasing 2.3 percent in the first quarter. By comparison, overall U.S. employment increased 1.7 percent in the second quarter after increasing 1.9 percent in the first quarter. These statistics are from BEA’s Travel and Tourism Satellite Accounts. The next travel and tourism statistics for the third quarter 2013 will be released on Dec. 18. 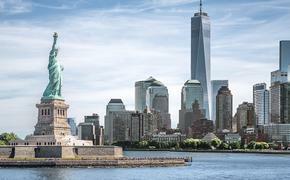 The research was launched in the wake of the September 11, 2001 terrorist attacks in order to have better metrics to gauge the economic impact of travel and tourism on the U.S. economy.